When you are truly in love, every beat of your heart sings with joy. Here's the perfect way to express that joy: This Heart In Heart "Love Forever" Necklace is a beautiful way to commemorate a special time and place in your life. With every step, love grows. 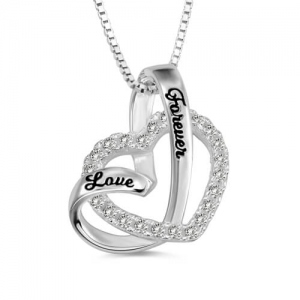 This Diamond CZ Heart Journey Necklace symbolizes how love grows stronger as two people grow together and their commitment deepens. This journey heart pendant made of 100% 925 sterling silver and has a sequence of cubic zirconia shining on the heart. 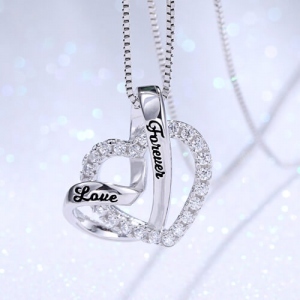 Symbolizing how love intensifies and becomes more meaningful over time. What a perfect gift for that special someone!